Description: L'Atelier Rouge, Oil on canvas, 162 x 130 cm. In the collection of the MOMA. 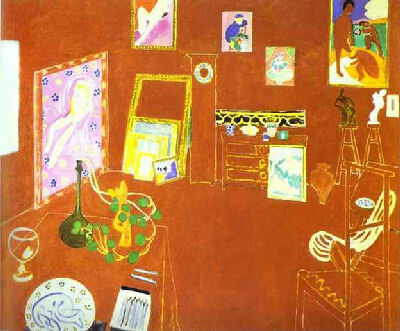 Permission: This painting by Henri Matisse is in the public domain in the United States because it was first published before 1923.